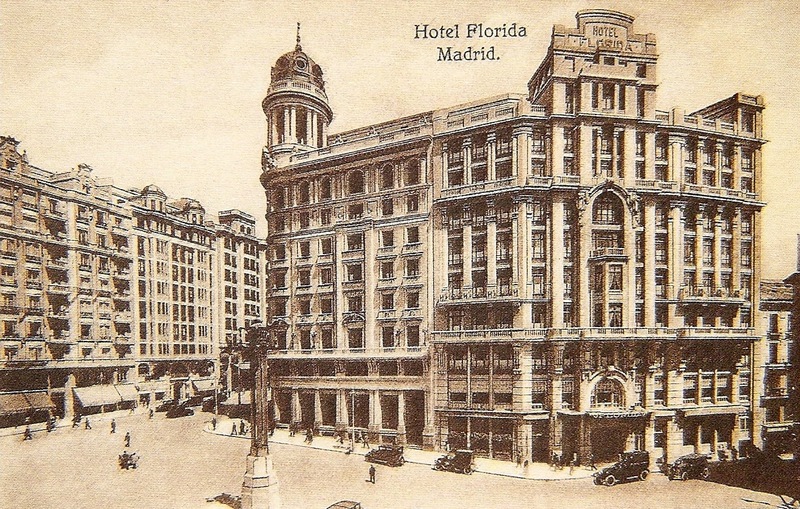 Hotel Florida was located on the Gran Via in central Madrid - at the north-east corner of the Plaza de Callao. It was designed by Antonio Palacios and opened in February, 1924. It was a grand hotel in its day: its entire ten-storey facade was constructed out of marble; and each of its 200 rooms had an en suite bathroom - quite a luxury in those days. 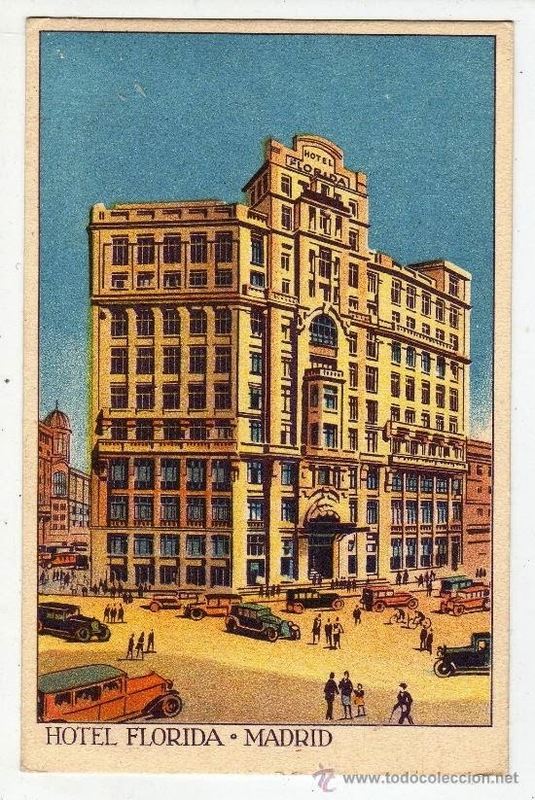 Hotel Florida became a little shabbier over the years, and then in 1964 it was demolished, to make way for a department store called Galerias Preciados. When that store went into receivership in 1995, the site was acquired by El Corte Ingles, a rival department store chain. But it's not the commercial fate of Hotel Florida that concerns us here. Our interest is the role that the hotel played during the Spanish Civil War. From 1936 to 1939 it became the host of many noteworthy journalists and writers who came to Madrid to cover the struggle between Franco's "Nationalist" rebels - the falangistas (supported and armed by the fascist governments in Germany and Italy) - and the republican "Loyalists" (made up of an alliance of various communist, anarchist and liberal parties, who were supported and armed primarily by Stalin's bolshevik government in Russia). Most governments in Europe and North America maintained a non-interventionist neutrality throughout the conflict, but about 35,000 idealistic volunteers (brigadistas) came from all over the world to serve in various International Brigades - including about 1,500 from Canada (the Mackenzie-Papineau Battalion), about 2,500 from the U.S. (the Abraham Lincoln Brigade), and about 2,500 from the U.K. (the British Battalion, which included men from many other countries in the Empire). These men fought - and many of them died - to stop a fascist takeover of Spain, seen by many at the time as the probable precursor of a continental-wide struggle that would provoke a new world war. 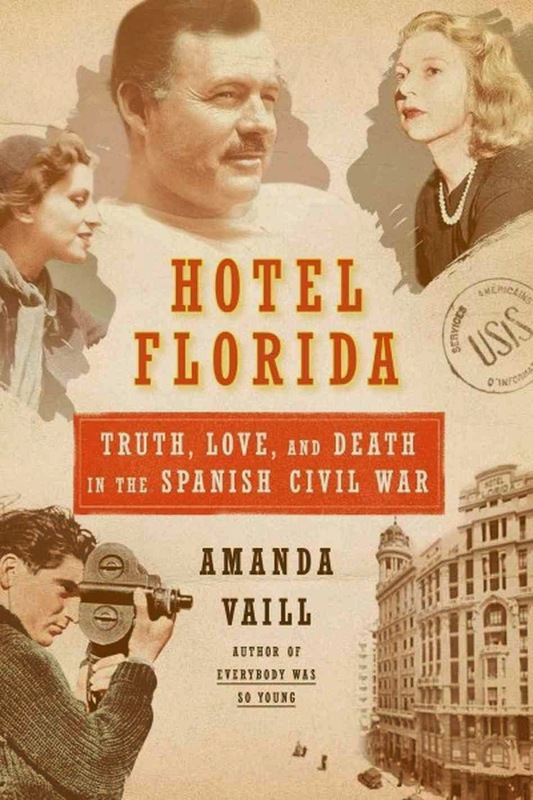 Amanda Vaill's book, Hotel Florida: Truth, Love, and Death in The Spanish Civil War (published by Farrar, Straus and Giroux, 2014), is centred on the Spanish Civil War, but it is not intended as a comprehensive history of the conflict. She uses the hotel as an organizing principle for her account, which is ostensibly about the War, but traces its course by focusing on the activities of three couples, who spent time in Madrid at the Hotel Florida and at the Telefónica building (just a few blocks down the Gran Via) - which housed the Office of the Foreign Press, where media correspondents went to have their stories censored and transmitted. The three couples we read much about in Hotel Florida are the American writers Ernest Hemingway and Martha Gellhorn, the photographers Endre Friedmann (a.k.a. Robert Capa) and Gerda Taro, and the press censors Arturo Barea and Ilse Kulcsar (later Lisa Barea). Only Barea was a native-Spaniard; the rest were outsiders, drawn to Spain by a combination of professional interest and political commitment. There is a host of other interesting people who make regular, or cameo, appearances in the book: American writers John Dos Passos, Josie Herbst, Archibald MacLeish and Lillian Hellman; British writers Eric Blair (a.k.a. George Orwell), Claud Cockburn, Sefton Delmer, and Diana Forbes-Robertson; Dutch film-makers Joris Ivens and John Ferno; and Spanish politicians Francisco Caballero, Constancia de la Mora y Maura, Juan Negrin, Andres Nin, and Luis Rubio Hidalgo. The bulk of the book moves chronologically, month-by-month, through the years of the Spanish Civil War, moving locales from Florida, to New York City, to Paris, to Barcelona, to Valencia and to Madrid - following the exploits of the book's main protagonists. We also get lots of descriptive vignettes and scenes about activity at the front - as the photographers and reporters chase the latest military maneuvers and clashes. Ernest Hemingway knew Spain well from his years following the summer bullfighting season. His first trip in 1923 - to experience the festival in Pamplona - was a mere 10 days. In seven of the years that followed, however, between 1924 and 1933, he spent an average of 6-8 weeks in Spain. But his visits tapered off, after he and wife Pauline had moved from Paris to Key West in Florida. 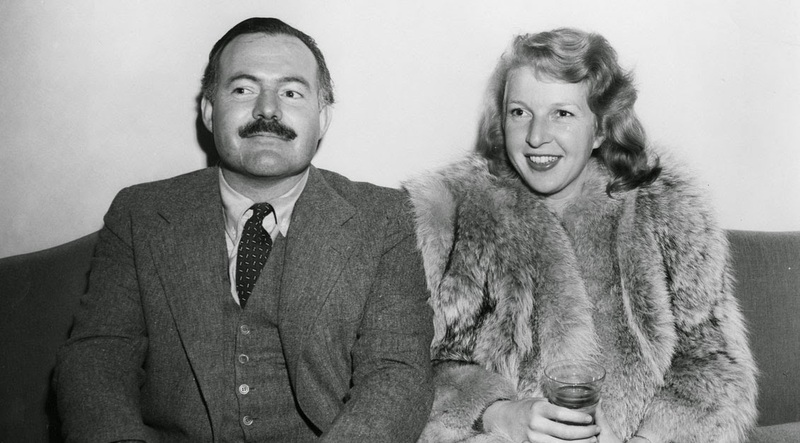 There, in December 1936, Hemingway met the writer Martha Gellhorn in Sloppy Joe's Bar. He became fascinated with her; and when she announced her intention to go to Spain, in order to cover the Civil War that had recently erupted there, he determined to follow along. But their status as companions had to be hidden. Through the influence of his long-term friend John Dos Passos - an ardent left-wing sympathizer with the Republican cause in Spain - Hemingway joined a small group of like-minded writers and film-makers, who set up in January, 1937 a film-production company called Contemporary Historians, Inc. Their plan was to make a propaganda documentary that might drum up support for the Republican, anti-fascist side in the Civil War. The dramatist Lillian Hellman and the poet Archibald MacLeish would write the story-outline for the film - with Hemingway and writer Dorothy Parker assisting. Dutch film-maker Joris Ivens would direct the film, and his countryman John Ferno would serve as cinematographer. The group left for Spain in March 1937. 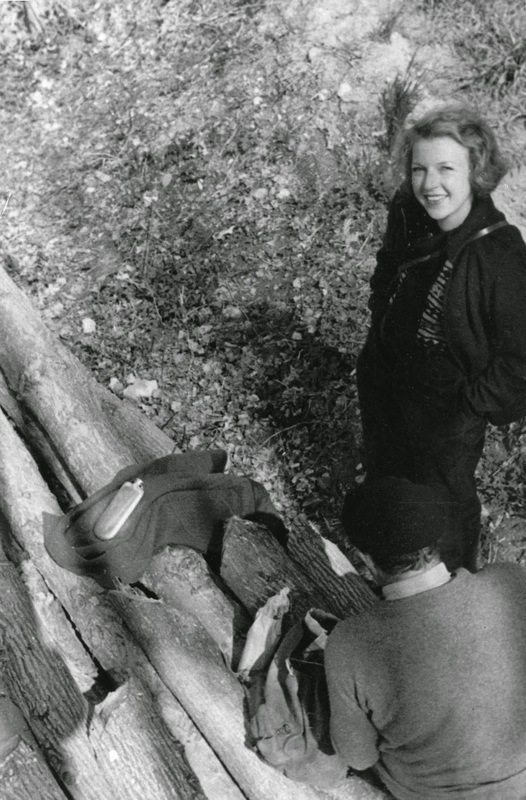 In addition to the work done on the film - during most of April, Hemingway was also writing articles for the North American Newspaper Alliance, and Gellhorn was submitting work to Collier's magazine. When they were back in the United States in June, Hemingway gave the keynote address at the annual American Writers Conference in New York City. He was very nervous about doing this - he was not a natural public speaker. He was sweating profusely - the result of nerves and the tweed suit he was wearing - and his glasses were fogging up. Hemingway began his talk by talking about the writer's problem: "how to write truly and having found what is true, to project it in such a way that it becomes part of the experience of the person who reads it." This kind of writing, he said, and this kind of truth, was impossible under fascism. "It is very dangerous to write the truth in war," he added, "and whether the truth is worth some risk to come by, the writers must decide for themselves. When men fight for the freedom of their country against a foreign invasion, and when those men are your friends, you learn, watching them live and fight and die, that there are worse things than war." The speech was a triumph. 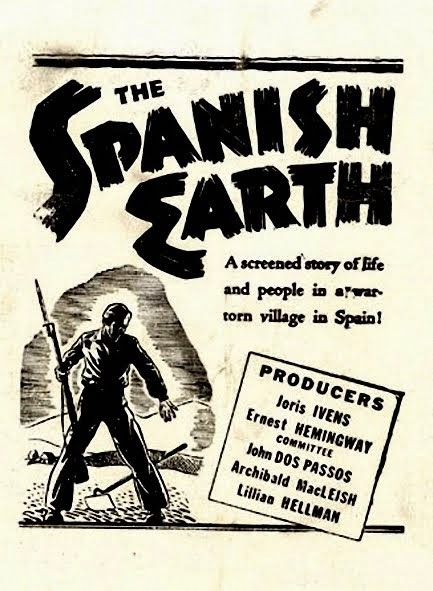 The finished documentary, The Spanish Earth, had originally featured narration done by Orson Welles, but the producers and director felt the tone wasn't right. They got Hemingway to do it instead. His version was less theatrical, less mellifluous; it seemed more authentic to the spirit of the work, because of its less professional approach. The film was shown to select audiences in carefully-chosen locations. Donations were taken in order to provide funds for such matériel as ambulances and medical supplies for the Republican side in Spain. Martha Gellhorn, who was a personal friend of Eleanor Roosevelt, arranged for a screening of the film at the White House in front of the President and his wife and select members of their staff. 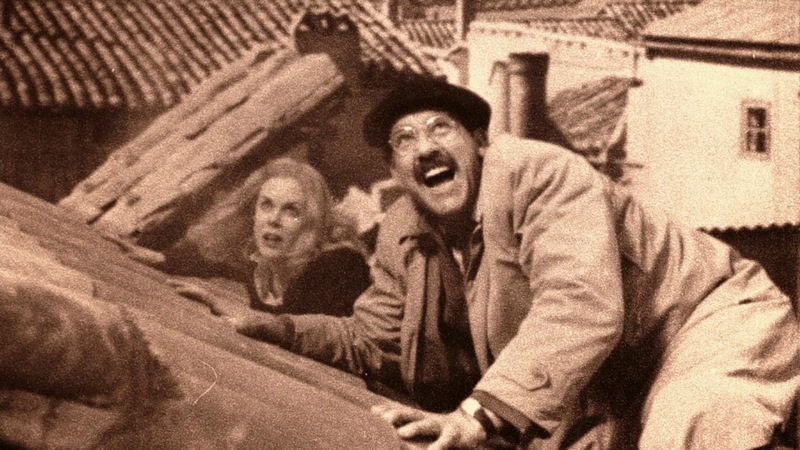 Hemingway and Gellhorn made two more visits to Spain (September-December, 1937; and April-May, 1938) to update their knowledge of the War's progress. They stayed at the Hotel Florida in Madrid - and experienced several occasions there when the hotel was struck by artillery shells. In September, 1937 Ernest and Martha visited the frontline at Belchite, three days after the falangists had surrendered. They met some old friends there - members of the Fifteenth Brigade, including its Chief of Staff, Robert Merriman, the former commander of the American Lincoln Battalion. Merriman had been a professor of economics before the war. He was tall and unshaven. There was dust on his glasses and in his hair. He gave the visitors an account of the battle for Belchite, using a stick on the dirt floor of his lean-to to show the movement of the troops. Hemingway and Gellhorn were very impressed with the man - both his quiet strength and the victory that he had won. Merriman would become the key model for Hemingway's protagonist Robert Jordan in For Whom the Bell Tolls (1940), his acclaimed novel about the Spanish Civil War. Hemingway and Gellhorn fraternized often with Robert Capa and his partner-companion Gerda Taro - both at Hotel Florida and at various military skirmishes at, or near, the frontline. 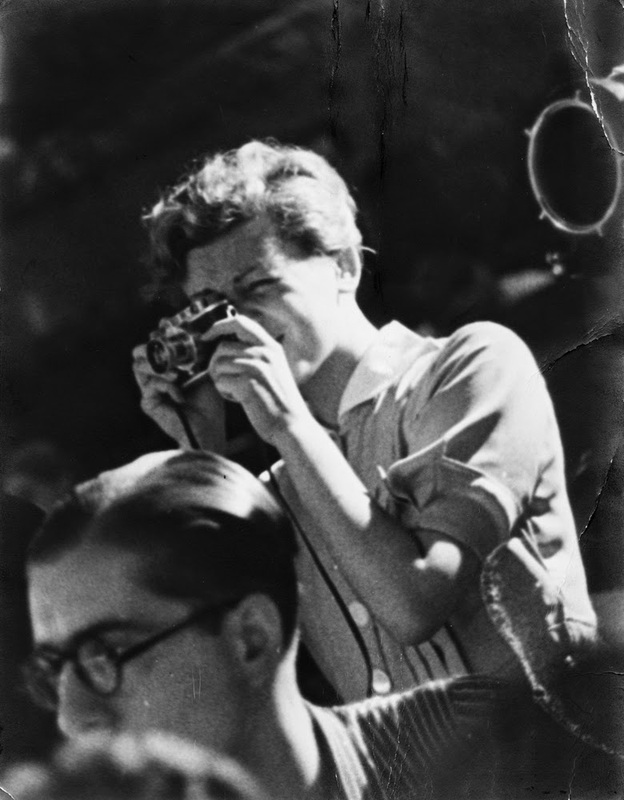 Capa was a Hungarian photojournalist; Taro was a Polish-born German photographer, who perfected her photojournalist techniques under the influence of her partner. They were based now in Paris and had a work studio in rue Froidevaux. 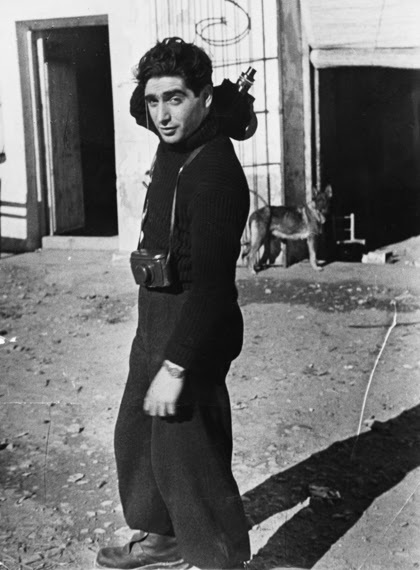 Robert Capa became the most famous photojournalist of the Spanish Civil War. His work appeared first in Parisian papers and magazines, and eventually found publishers in North America. 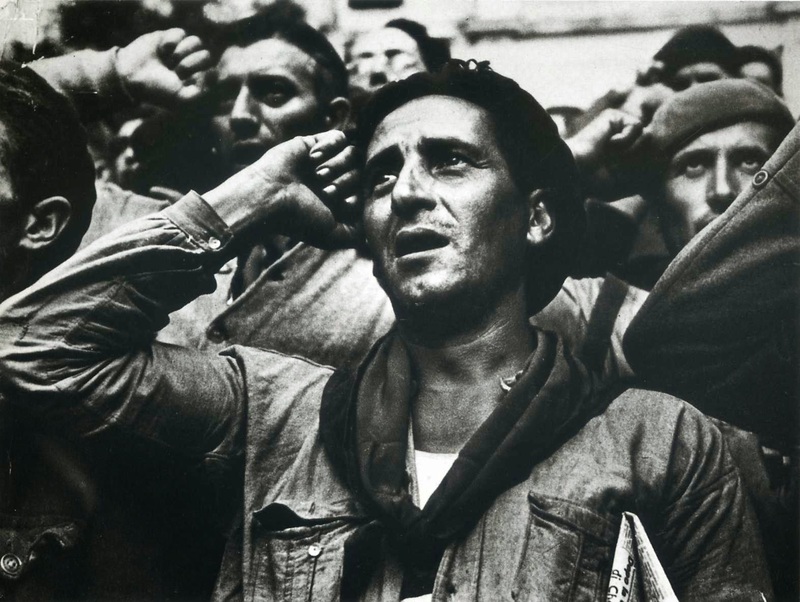 By the later stages of the War, his work was being printed in Life magazine, which had recently (1936) been acquired by Time owner Henry Luce and turned into a weekly news-oriented periodical, with an emphasis on photojournalism - a perfect venue for Capa's photographs. Capa worked exclusively with a Leica still-camera at the beginning of the War, but later on he learned to use a 16 mm Filmo movie camera, which was loaded with 100 ft, rolls of film. 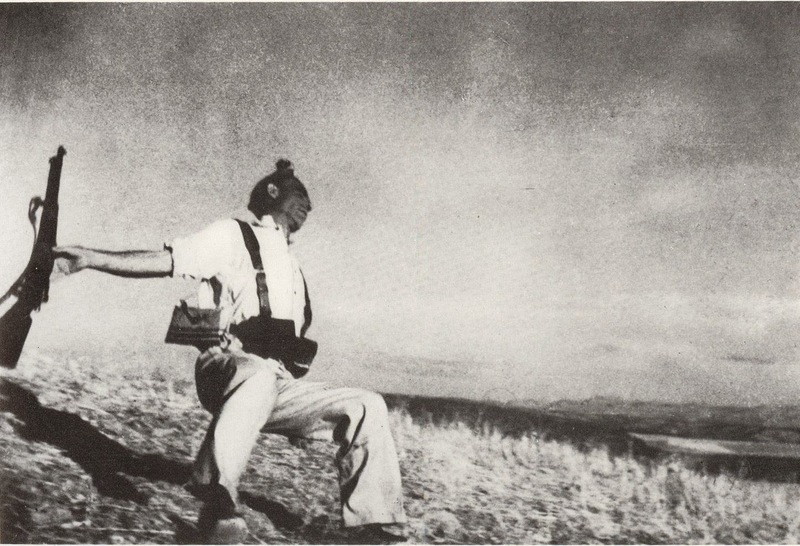 The most famous image Capa ever shot - the Falling Soldier photograph - became the image of the Spanish Civil War. It was taken at Espejo in September, 1936. Capa and Taro often worked in tandem, but they also did assignments separately, when their paths divided for one reason or another. They were both fearless and thought nothing of running with troops at the forefront of any military action. Taro was the first female photojournalist to die in the line of work. She was crushed accidentally by a Loyalist tank, after the car she was riding (the vehicle was full inside, and she was riding the running-board) was struck by the tank during a frenetic retreat from the frontline at Brunete. Taro was given a grand, hero's funeral in the Père Lachaise Cemetery in Paris on August 1, 1937. The third couple featured in Amanda Vaill's Hotel Florida are Arturo Barea and Ilse Kulcsar. Barea was a would-be writer. He worked first as a patent engineer. 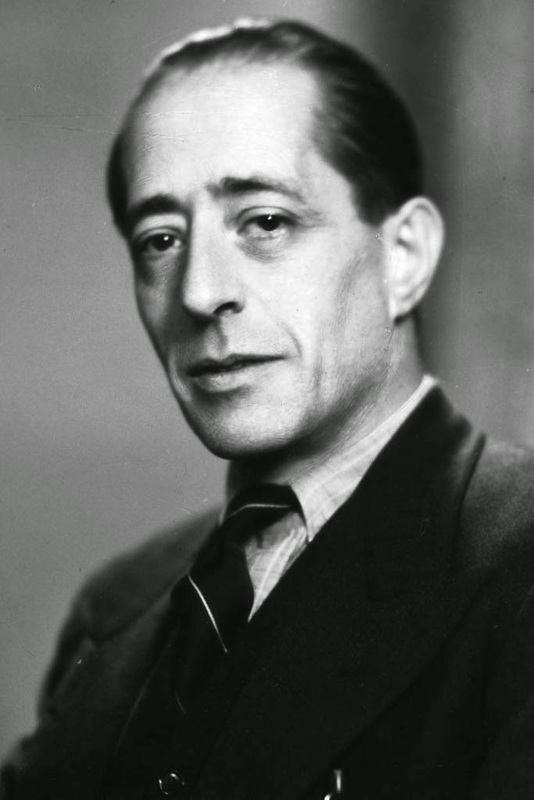 But in September 1936, because of his knowledge of French and English, he was assigned to work as a press censor at the Foreign Ministry's Press Office in the Telefónica building. This was where a host of foreign journalists - including Hemingway, Gellhorn, Dos Passos, Antoine de Saint-Expuréy, Claud Cockburn, Sefton Delmer, and Canadian Ted Allen - went, in order to have their reports read and transmitted. The Telefónica was the tallest building in Madrid - the Republican army used its observatory as a perch from which to observe the movements of Franco's troops on the outskirts of the city. During the long siege of Madrid, Barea also worked for the Radio Service, writing and broadcasting articles for Latin America. He was dubbed An Unknown Voice of Madrid. Every night he told human-interest stories about life in the besieged city. Barea met Ilse Kulcsar in November 1936. 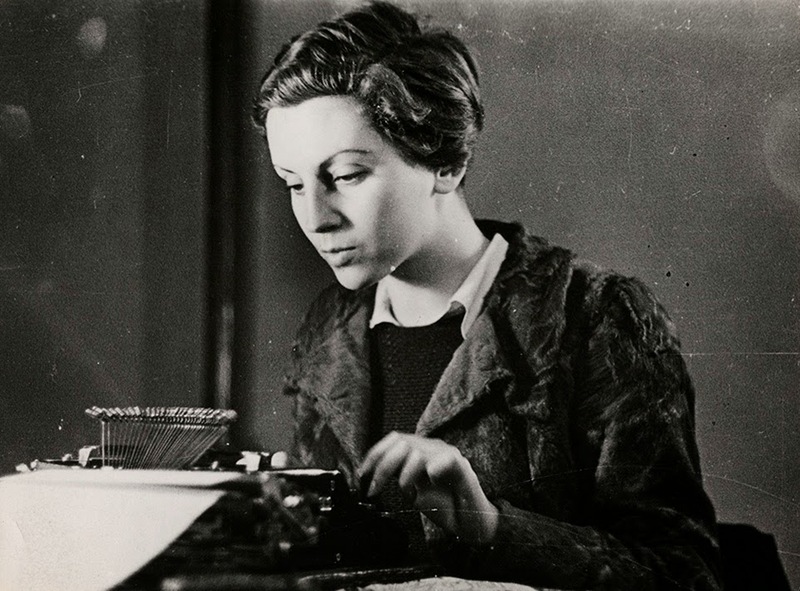 She had been a social activist and journalist in her native Austria, and had come to Spain because of her political sympathies with the Republican struggle against the fascists. Austria had become a proto-fascist state in 1934 (the Nazis would move into Austria in March 1938). Kulcsar spoke half-a-dozen languages. When she offered her services to the Loyalist government in Valencia, Arturo Barea's immediate superior, propaganda minister Luis Rubio Hidalgo, sent her to Madrid to confer with Barea. After a shaky beginning to their relationship, Barea found himself increasingly attracted to this intelligent and politically-committed translator. Eventually he divorced himself from his wife and took up with Ilse. They had to flee Spain when the government finally fell to Franco's falangists; they moved to England. Both became writers and Barea did broadcasting work with the BBC. Hotel Florida is not a history, or an academic treatise, of the Spanish Civil War. As Amanda Vaill explains, it is a narrative - but not a fictional narrative. It focuses on the experiences of her six main subjects, and some of their closest associates. She attempts to provide in-depth and contrasting accounts of their inter-locking destinies in those eventful three years. 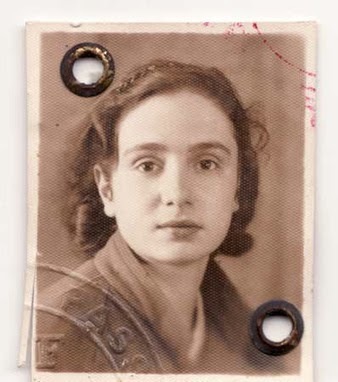 Vaill bases her account on letters (published and unpublished), diaries, personal accounts, official documents, film, biographies, histories, and contemporary news media. She claims to offer some new insights into the material, especially since some of the material she used has only recently come to light. For those familiar with my blog post archive, it will come as no surprise that what enticed me to pick up this book from my local library - it was displayed in the New Books section - was the tie-in to Ernest Hemingway. I already knew a great deal about his activities in Spain, but here was an opportunity to get a lot more detail about his experiences there during the Civil War and, perhaps, some insight into his relationship with Martha Gellhorn (Hemingway wife #3). Hotel Florida delivered on those expectations, but it also scored in its treatment of its other main subjects. It is often more interesting to learn about historical events when they are filtered through in-the-field experiences of committed individuals. History comes alive when we read about it with the eyes and ears of intriguing contemporaries. Phil Graham, the co-owner and publisher of The Washington Post, famously said in a speech to fellow-journalists in 1963 that journalism was "a first rough draft of history that will never really be completed about a world we can never really understand…". Journalism may lack the sagacity and careful analysis that hindsight can provide; but, conversely, it does convey the immediacy of the moment and the flavour of specific context. The reactions of engaged and intelligent observers can be more revealing than the considered opinion of the desk-bound pundit. And what key themes emerge from Amanda Vaill's book? What do we learn about its main protagonists? 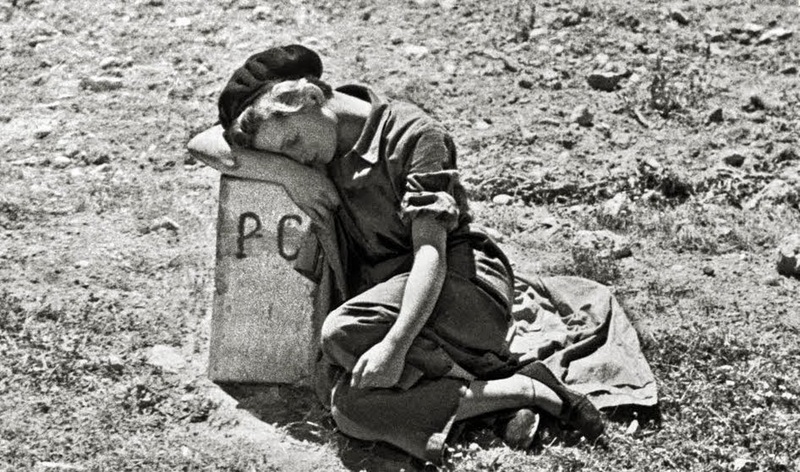 And what do its contents tell us about the Spanish Civil War? Given that Hemingway, Gellhorn, Capa, and Taro were all working as journalists in Spain, and Barea and Kulcsar were working as censors for the government, the problem of truth versus propaganda runs through the entire book. In his speech at the American Writers Conference of June 1937, Hemingway had raised the issue. How do we find the truth, he wondered; and, more importantly, how do we report it, when to do so is so dangerous? And - to paraphrase Pontius Pilate - what exactly is the nature of truth during wartime? "The first casualty when war comes is truth," U.S. senator Hiram Johnson declared in 1917. That sentiment can actually be traced right back to ancient times. The Greek dramatist Aeschylus is said to have uttered a similar idea: "In war, the first casualty is truth." Australian-British reporter John Pilger begged to differ on this notion. In a speech in 2006, he argued that it was journalism, not truth, that was the first casualty of any war. Governments seek to control information not only to assist and to protect their military forces, but also to maintain morale and generate support amongst the civilian population. This natural tendency towards secrecy and treachery in wartime is exacerbated further when the conflict is driven by ideological differences - and in Spain, the normal duplicities that governed information about the war effort were exacerbated to the nth degree by the sectarian divisions in the Republican movement. The Republican side was already an unstable alliance of communists, socialists, anarchists and liberals before Franco's rebellion led to the War; but once the conflict morphed into a greater struggle against German and Italian fascism, the Soviet Union intervened - which created a virulent, internecine struggle amongst the communist elements in the alliance. People who are familiar with George Orwell's book about the Spanish Civil War, Homage to Catalonia, will be familiar with this story. Orwell served in Spain with POUM, a Trotskyite political party. He witnessed first-hand the move by the Comintern - the bolsheviks - to purge the communist parties in Spain of any anti-Stalinist tendencies. His disgust with how this all played out inspired his book Animal Farm (1945). As the Soviets became the dominant group amongst the international elements supporting the Republican war effort, it exerted tight ideological control. There may have been military and civilian victims of Franco's forces, but there were also many ideological victims of Stalin's totalitarianism. In Hotel Florida we see this threat throughout the book embodied in the fates of Arturo Barea and Ilse Kulcsar. They constantly chafed at the propaganda requirements of their job, constantly pushing for more honesty in the way that the war was being reported. Barea came under constant scrutiny, and he was eventually reassigned, when his loyalty to the movement (i.e. Stalinism) was suspect. His partner, Ilse Kulcsar, was also deemed unreliable, because of the ideological unorthodoxy of her socialist past in Austria. A more dramatic example of these dangers is the case of Jose Robles Pazos. Robles was a Spanish academic and left-wing activist. He had been teaching at John Hopkins University in the States before returning to Spain. He was also the Spanish translator of American novelist John Dos Passos. 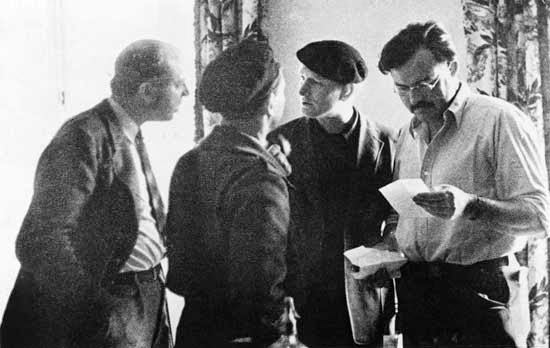 When Dos Passos, Hemingway, Ivens, et al., came to Spain in April 1937 to make The Spanish Earth, Dos Passos had learned that Robles had been detained by the authorities back in December 1936. Dos Passos was determined to find out what had happened to his friend. Eventually it emerged that he had been shot as a spy. The source of the trouble was that Robles had worked as translator for a senior Soviet military envoy who knew no Spanish; Robles seemed to have been caught in the classic situation of being innocent of any wrong-doing, but knowing too much - specifically, being privy to too much of the behind-the-scenes Soviet machinations in Spain. Dos Passos was crushed by the news. And the pain was made even worse when Hemingway condoned the killing as "necessary in time of war." It caused a permanent rift between the long-term friends. Another major theme of Hotel Florida is the tension that exists in wartime between the locals and the visitors. In Spain the war had begun as a struggle between the aristocracy and the people, between the landholders and the peasants, between the monarchists and the republicans. It had been primarily a political struggle. But when the conflict morphed into a showdown between fascism and communism, people flocked into Spain from all around the world. And they came for ideological reasons. For them it wasn't just a specific, political struggle; it was a universal fight against despotic fascism. Many of these foreigners lacked a nuanced grasp of the local conditions. And they seemed, to weary and demoralized Spaniards like Arturo Barea, to be a bunch of unreliable opportunists. Members of the International Brigades, of course, were free of these criticisms - they were laying their lives on the line. But the journalists and writers, who stayed only for a while - to observe a few skirmishes at the front-line, spend most of their time at swanky hotels, and then claimed to understand exactly what was going on - really began to annoy. Barea, in particular, would lose his cool once in a while and harangue the international press corps for their exploitation and condescension. Were they in Spain to help the cause? Or were they there to further their own selfish interests? How about it, Mr. Hemingway? One final key theme of interest to me was how each of the six main protagonists in this account can be seen as embodiments of different attitudes, different political tendencies, different personality traits, and different professional interests. Hemingway is the novelist - the man-of-action keen to immerse himself in dramatic and exciting situations, in order to find material to feed his fiction. Gellhorn is the journalist - interested in covering the human element in the military struggle, so that she can show how war affects the civilian population. Capa and Taro are the brave, often reckless, photojournalists who are looking for new ways to photograph military action. They combine a journalist's need to document an event with the artist's interest in finding new, creative ways to illustrate the same sort of front-line skirmishes. Barea and Kulcsar are the bureaucrats with a conscience - civil servants who stray into dangerous territory because they challenge the status quo and try to tell the truth and stay loyal to their principles. Vaill shifts her focus constantly in this book from place-to-place and person-to-person. It works really well because it tells the story of the unfolding war, but does so in a way that keeps one riveted on the way that the conflict affects particular participants. Hotel Florida is a great read. It deals with a fascinating and important period in European history - combining the excitement of military action with the intrigue of political debate. The book conjures up the fear and exhilaration of living in a war-zone. It dramatizes important, perennial issues by showing how they affect individual lives; and it provides interesting detail about a relatively brief span of time in the lives of several well-known figures of that period. And it shows how history can be told, not as a dry succession of political decisions and military actions, but as a complex, interweaving tale of fascinating people engaged with the events of their time. Hotel Florida includes: maps of Spain showing the changes of territorial control over four years; a chronology of key events; a list of principal characters; 16 pages of B&W photographs; 38 pages of detailed notes; a glossary of terms and abbreviations; a 6-page bibliography; and an 18-page index. Amanda Vaill is an American writer and editor, noted for her non-fiction. She lives in New York City. 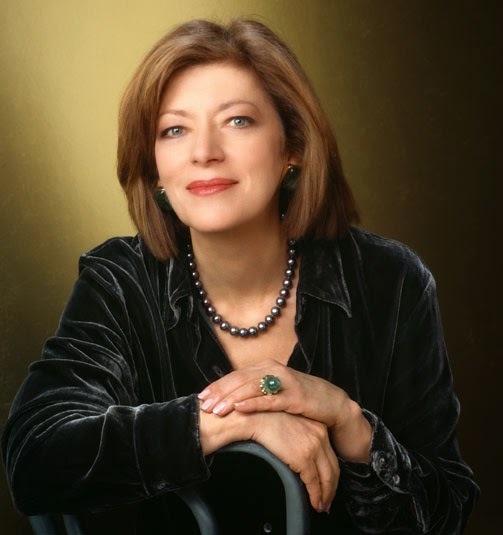 She worked in publishing before becoming a full-time writer in 1992. In the 1970s Vaill was an editor at Viking Press alongside Jacqueline Kennedy Onassis. In 1995 Vaill published Everybody Was So Young, a biography of Gerald and Sara Murphy, prominent 1920s socialites of the French Riviera (and friends of Hemingway). Her next book was Somewhere (2007), a biography of choreographer Jerome Robbins. Woody gets Ernest in "Midnight in Paris"
fascinating read clive - thank you for sharing. and congrats on over 100 K views of ur blog! Thanks for the feedback, Rob. Good morning Mr. Baugh. Very interesting work. For your information, the picture toke by Gerda Taro where you said is Ernest Hemingway and Robert Capa with his Filmo movie camera, have a clear mistake. In the picture, the man with a movie camera was Mr. Joris Ivens, and the camera was not a B&H Filmo. It is a B&H Eyemo. Hemingway and Ivens were working in the movie 'The Spanish Earth'. 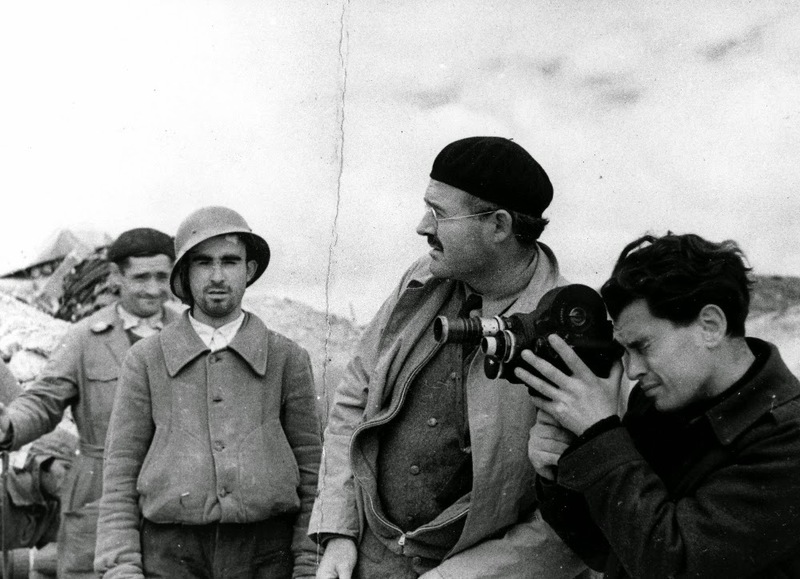 Besides, Bob Capa never used a Filmo At Spanish War. He used a B&H Eyemo movie camera too, in this case borrowed by Mr. Rochemont for filming The March of The Time. Have a good day and congratulations for your blog. Thank you very much for the corrections. I have changed the caption accordingly. 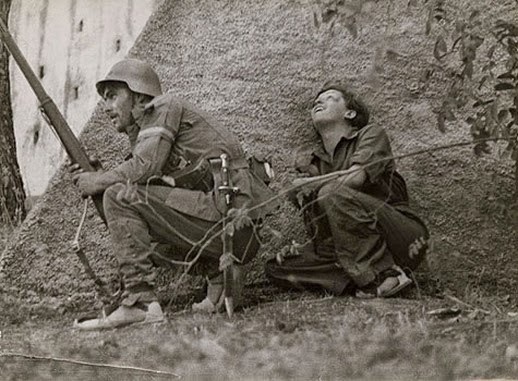 It is disappointing, but Spanish historians have said the falling soldier picture was posed at Capa's request, and not taken near the front at all. Several other shots of the same scene were found, suggesting that he wanted to give LIFE magazine the best one... When asked about this much later on, Capa refused to flatly say that the picture was real. It is a very good photograph nevertheless, and would have been very hard to take, technically and humanly, in real-life circumstances. Spain's Civil War is full of myths aimed at glorifying both protagonists and the losing side, and it's only now that we're getting a more objective vision of what happened. Thanks for your response. I was aware of this claim about the picture; but the truth of the matter, I thought, was not fully established. Can you provide some references or citations?